I typically drink my coffee black, but I always have coffee creamer in my fridge. Not only do I enjoy trying our unusual coffee creamer flavors – because if I’m not going to drink it black, I probably want to drink something sweet! – but it is handy to have on hand for family and friends who might prefer their coffee with a little something extra added to it. While the store-bought creamers are convenient, it is easy to make homemade coffee creamer at home and I prefer to do that when I have a few extra minutes to spare. My Homemade Vanilla Coffee Creamer only takes a few minutes to make, but has a wonderful vanilla flavor to it and just the right balance of sweetness and milk to give your coffee the perfect finishing touch. The creamer starts with a simple syrup made with sugar and water. I used vanilla extract to infuse it with vanilla flavor, however you can splurge and use half a vanilla bean if you have a few extra beans on hand. There is enough vanilla in here that you’ll still be able to taste it when you add it to coffee, whether you are serving it hot or iced! Once the syrup has cooled, you simply need to add milk to it and it will be ready to use. The creamer should be kept in the refrigerator and it will last about a week – and that means that you can double the recipe if you will go through this batch in less time than that! Whole milk is going to produce the creamiest creamer in this recipe. You can even use lactose-free milk, coconut milk, almond milk or other non-fairy milks. 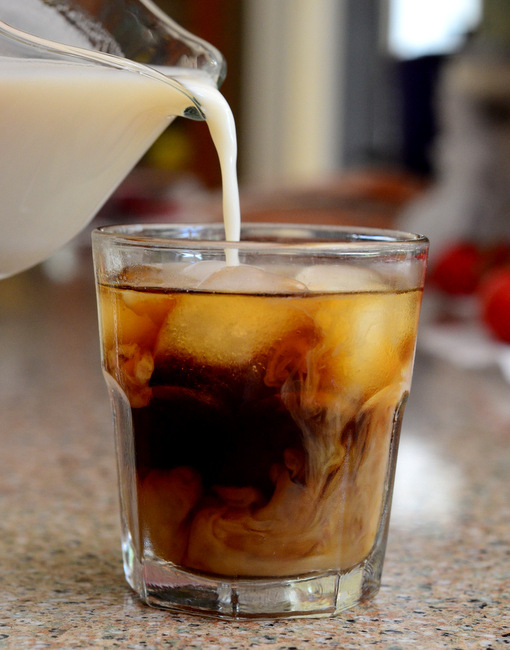 When using a milk that has a lower fat content than whole milk, keep in mind that you will still get delicious results, but the creamy won’t look quite as creamy when you pour it in to your coffee. In a small saucepan, combine sugar and water. Cook, stirring occasionally, until sugar dissolves. Add in vanilla extract. Allow to cool to room temperature, then stir in milk. Refrigerate, covered, until ready to use. Creamer will last at least 1 week in the fridge. Looks so refreshing! 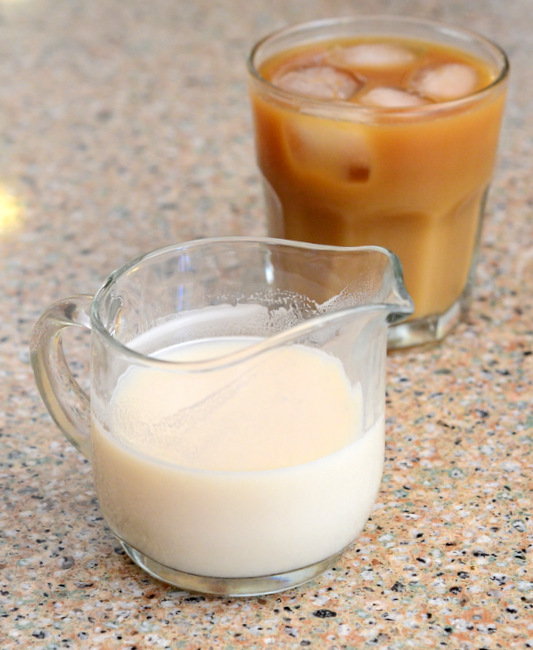 I love the idea of making the coffee creamer at home!